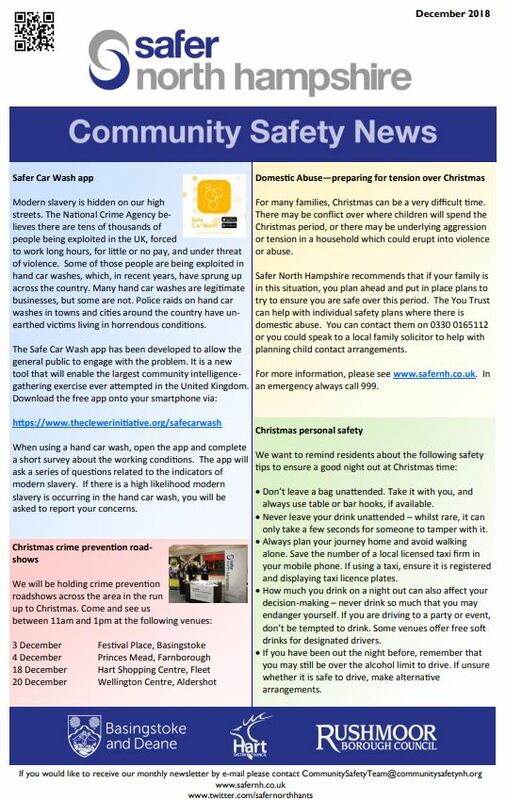 Safer North Hampshire have issued their latest newsletter - Community Safety News. It details how to stay safe during the Christmas Period and offers numbers to call should you need any help. You can download a pdf copy by clicking here.